Expired 5mo ago . Last validated 5mo ago . Used 64 times. Aurioli Chirinos Valid to deal works as described. 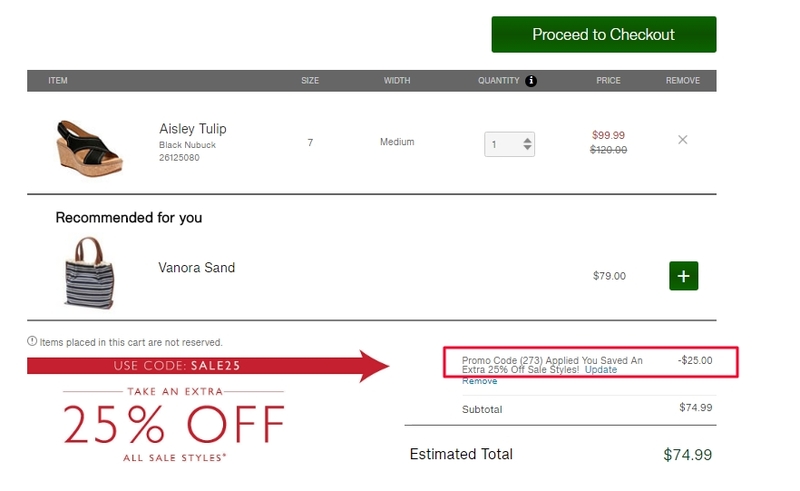 To redeem, type the code “SALE25” into the box labeled "Promo Code" at checkout and click the "Apply" button. Promo code is case sensitive. Offer valid from July 29, 2017 at 12:00:00 am EST to August 9, 2017 at 11:59:59 pm PST. Offer valid online only. Valid only on the purchase of sale styles, and in-stock merchandise. Discount applied at checkout. Mayerlin Benevento Offer valid from July 29, 2017 at 12:00:00 am EST to August 9, 2017 at 11:59:59 pm PST. Offer valid online only. Valid only on the purchase of sale styles, and in-stock merchandise. Discount applied at checkout. 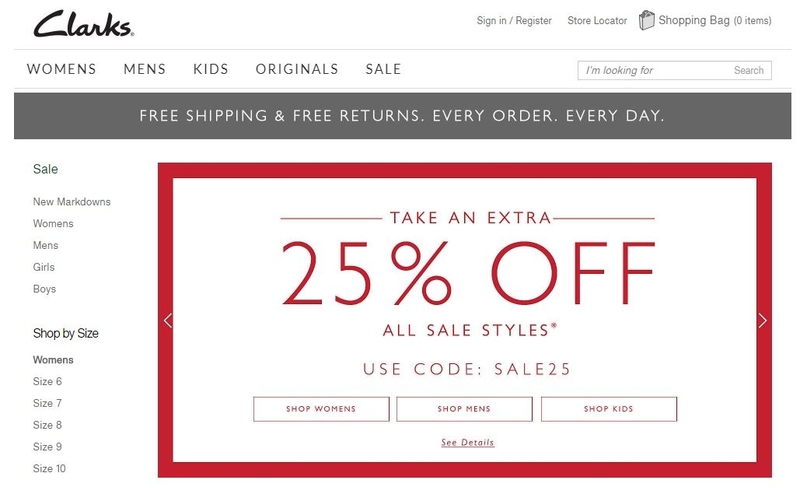 To redeem, type the code “SALE25” into the box labeled "Promo Code" at checkout and click the "Apply" button. Promo code is case sensitive. Shipping & handling fees and taxes (if any) excluded from discount. 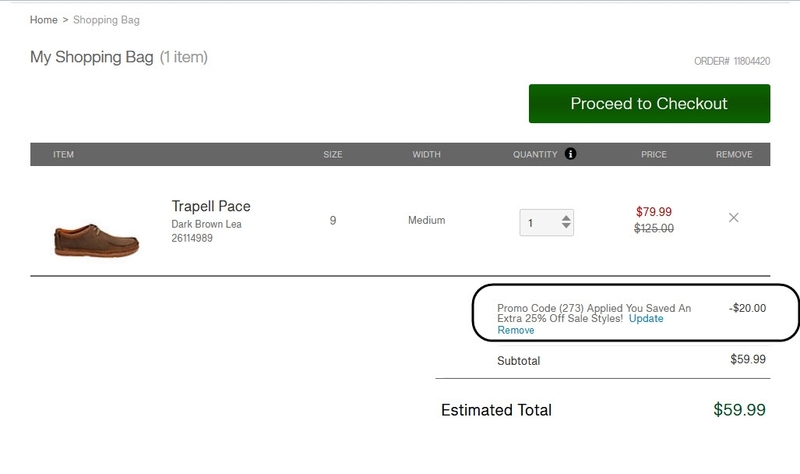 Cannot be combined with other promotional or discount codes. Offer excludes all full-price merchandise. Not valid on prior purchases or purchases of gift cards. Limit one coupon code per transaction. Not valid for cash or cash equivalent. 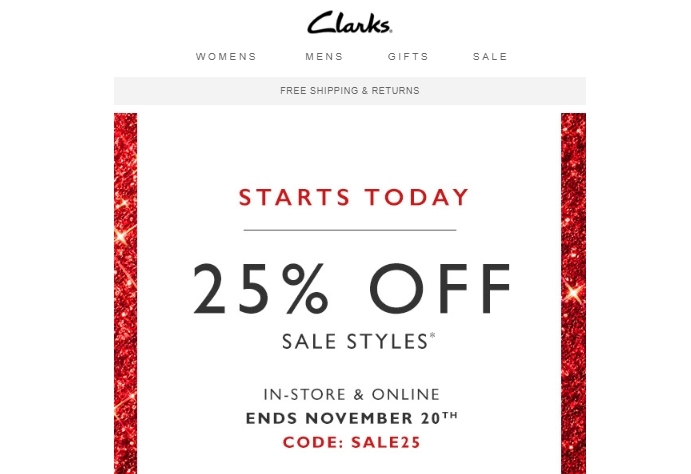 C & J Clark Retail, Inc. reserves the right to cancel or modify this offer at any time without notice. 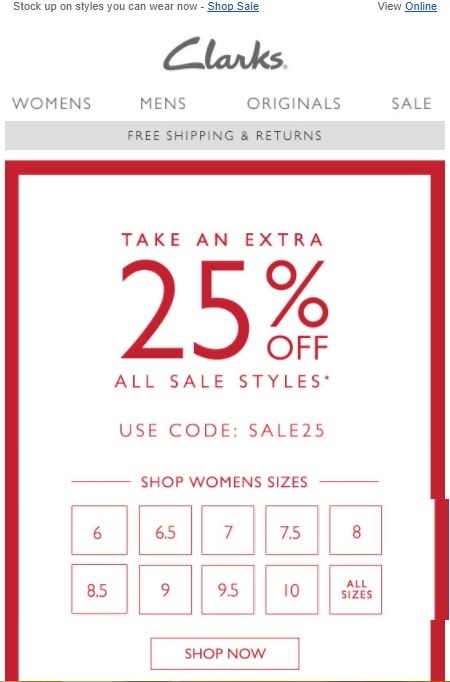 Nelcy Medina Extra 25% Off Sale Styles at Clark's. Simply enter this code (SALE25) during checkout to apply the discount. Some exclusions may apply to this deal.